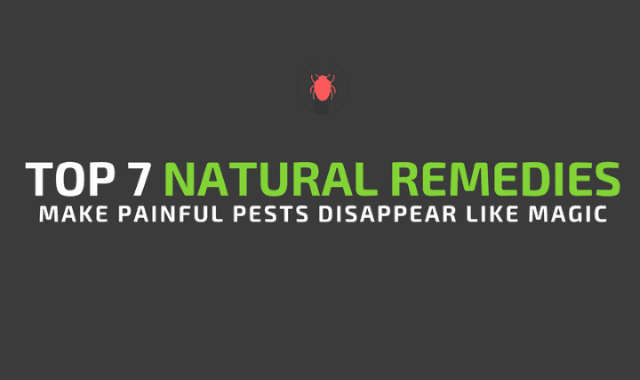 Top 7 Natural Remedies Make Painful Pests Disappear Like Magic #Infographic ~ Visualistan '+g+"
Pests can be harmful for you and your family. You can use pesticides, but they have harmful chemicals, which will adversely affect your health and the environment. You can use natural home remedies instead. The infographic given below shows you how you can easily ward off pests using natural ingredients readily available in your home. With little effort you can little effort you can make these herbal pesticides in your home. Just follow the steps given below. For example, you can use Neem Oil, and simply mix it with water and spray around your home. This will keep insects and bugs away. We love coffee, but did you know caffeine can also be used to make natural pesticide. Yes, it has been proven through research that it is highly effective against snails. You can also use vinegar. That's right to make a home made solution, which is highly effective for flies and insects.